Cinemablend gives a helpful review of whether or not to see the movie in 3D. Access Hollywood decided to offer “The Non-Geek Avengers Movie Guide,” for those who may not have seen the five movies leading up to this ensemble and could use a cheat sheet. 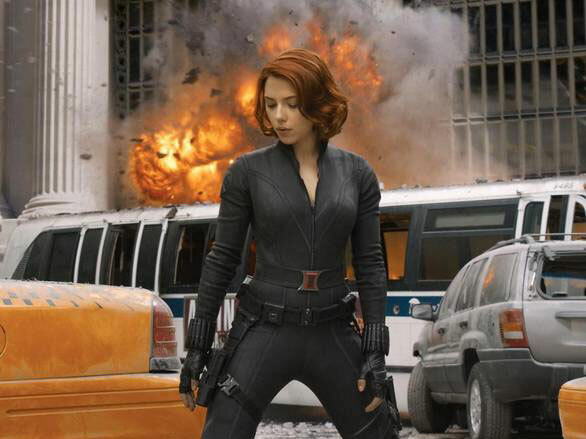 If that wasn’t offensive enough, Moviefone offers “One Girl’s Guide To The Avengers: What You Need To Know If You Know Nothing.” They even suggest to the girls what to say and what not to say to the boyfriends who dragged them to see the movie. Moving from entertainment to respectable “news” sources, BloombergBusinessweek wrote an article on how Disney is betting on The Avengers after John Carter flopping. 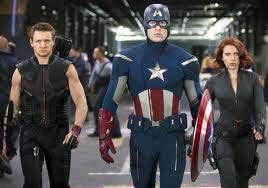 The Chicago Tribune – with plenty of reviews and othe r entertainment bits on the movie – wrote an essay on The Avengers business model. 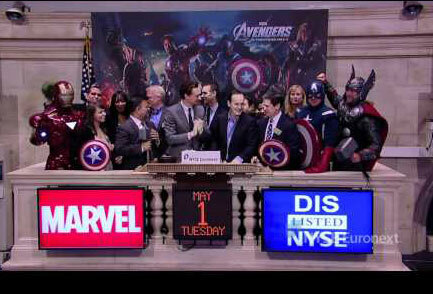 Even ABC News (owned by Disney, which purchased Marvel in 2009) gets in on the act with this “news” piece on Avengers actors helping ring in the bell at the stock exchange a few days ago. 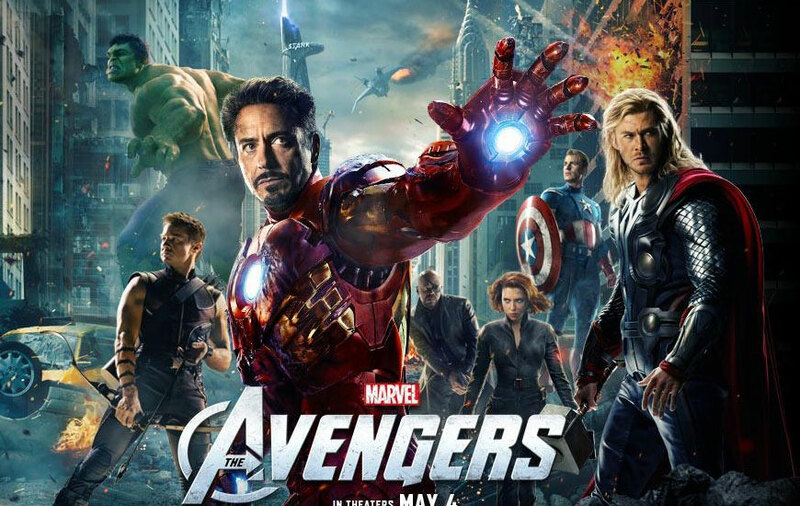 While I like to give credit where credit is due above, even Your Guerrilla Marketer got in on the act; writing a blog on how businesses are riding the Avengers wave in hopes they will attract more readers, comments, tweets and page views. And, if you are reading this blog for the first time, you know my evil plan worked. Just call me Loki, God of Marketing Mischief. My favorite Avenger was Diana Rigg in the British TV series. Anyone remember those Avengers? Why the quote marks on “news”? Bloomberg and ABC are news organizations, and they are reporting news, even if it the news is a publicity stunt for a blockbuster movie. Since when do journalists have to pay licensing fees? Even publishers, writing “Philosophy of…” or “Science of…” titles are only required to post a disclaimer inside the book. Of course, if that book contains a lot of intellectual property, then there could be litigation (Warner Bros. and J. K. Rowling vs. RDR Books, (575 F.Supp.2d 513)). So you’re article is lacking. You talk about how journalists are using the Avengers, but not businesses (comics shops handing out flyers at the movie theaters, cosplay, Free Comic Book Day, archery suppliers…) Nor do you cite the two examples I just mentioned about the pitfalls of being a marketing remora. Thanks for your comments. Did you read my previous blog, which explored the concept of “Riding the Wave?” It may explain a bit more of what my point to this Avengers piece was meant to be. Frankly, I was just having a bit of fun with this blog, pointing out how even myself was taking advantage of the Avengers popularity right now. While there are businesses taking advantage of this, as well, that was not my point. Yes, there are companies who are paying a license to use the name and likeness (Nortan AntiVirus, Target, etc.) and some who are riding the wave (Dodge Avenger PPC ads), my focus was on what was making the news. The business portion would make for a very interesting (and lengthy) blog some day. If enough people ask for it, I’ll research it and report back here. Nice Balder reference, btw. Personally, I’d much rather be compared to him than Loki any day.